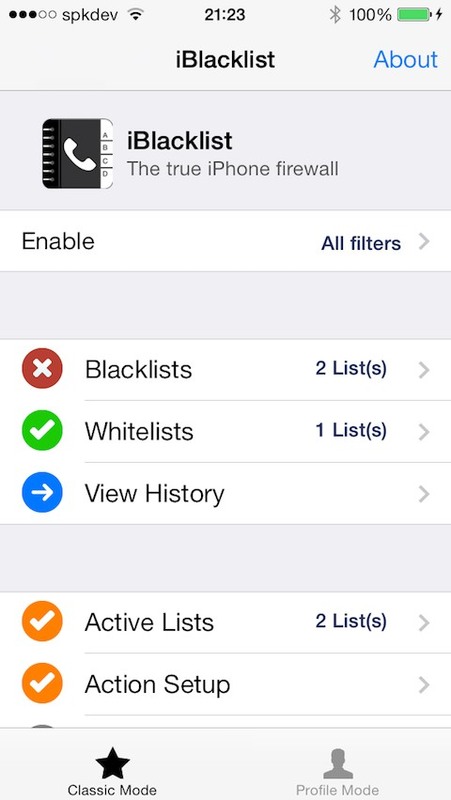 iBlacklist is the best firewall for iMessages, calls, facetime, SMS and MMS available for the iDevices. Now it blocks also FaceTime/iMessages and runs on iPod 4 and iPad 2. 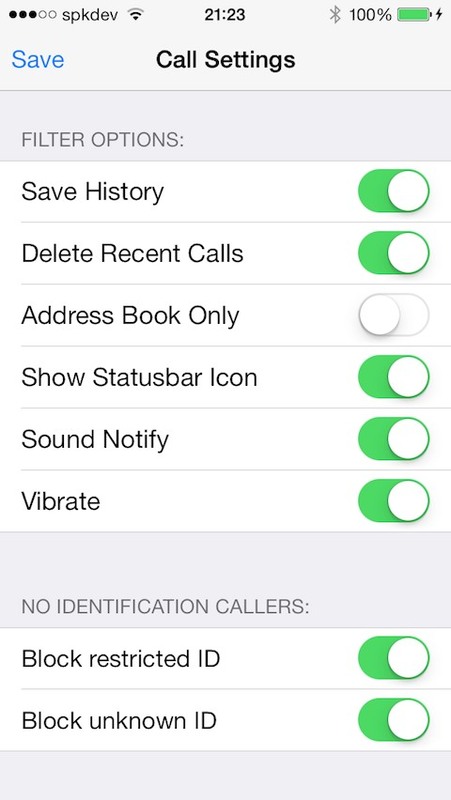 It ables you to select from who you want to receive calls and hide messages. It also removes the sms popup preview protecting your privacy, has parental control mode by blocking outgoing calls, can be fully scheduled and many other features. Try it , you'll love it. Works on any iPhone model running any firmware version !!! PLEASE RESTART YOUR DEVICE AFTER INSTALL. REBOOT IF YOU ARE ON IOS4. First, if you are NOT in iOS 11 and have iBlacklist already installed, you really don't need this update. There is nothing new for you. WARNING: This version IN IOS 11 changes the way you open the app if you set the password protection to hide the icon. Now you will open iBlacklist by accessing Spotlight and typing your REAL password in the search field available on top screen. Known Bugs: NO ACTION not working, so i changed it to voicemail instead. In other words, NO ACTION will disconnect the call to your voicemail if you are in IOS 11 until i find a fix for it.